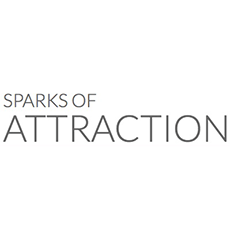 Review for Sparks of Attraction Live Training, Awesome Program, even better coach! "Awesome Program, even better coach!" After having the pleasure of going through Nick’s weekend program, I was able to see my progress instantly. I could write pages worth of gratitude and appreciation for Nick’s services but I’ll do my best to keep it short and sweet. Sparks of Attraction Lifetime coaching was far and beyond anything I could of asked for. I first happened to come across Nick and Christian through a couple of youtube videos. Reason being was that I had not been having the success with women that I knew I was capable of. I had always done ok, but not nearly where I wanted to be. Not only that, but I knew there was a component in my life that was missing. I didn’t necessarily know what that void was, but I knew that talking to Nick and entering his program would certainly help. If not there, than in a multitude of other aspects in my life. Throughout the weekend, Nick was able to pickup our flaws immediately and give us feedback on how to improve. He really narrows it down to the point so that: a) you’re not overwhelmed with things to think about and b) you know the things you really need to work on. I found Nick constantly pushing the other student and I to go outside our comfort zones, which is exactly what you need to get the most out of his program. Nick prides himself on his 100% success rate and you really get a sense of this in the way that he carries out his business. Myself personally, I found exactly the void I was missing in my life. I leave the weekend feeling great and I know everything that I need to work on in order to better myself! What tops it all off is, even after his program, Nick dedicates himself to making time out for each and every client. If you ever need any advice or someone to talk to, he will push everything aside and make time for you. I can easily say with the utmost confidence that should you go with Nick’s program, it will change your life for the better! Nick Sparks really is the man, can’t say enough!